Enjoy comfortable temperatures all year round with ducted air conditioning solutions. A ducted air conditioning system includes an outdoor compressor unit connected to the indoor unit through insulated refrigerant pipes. 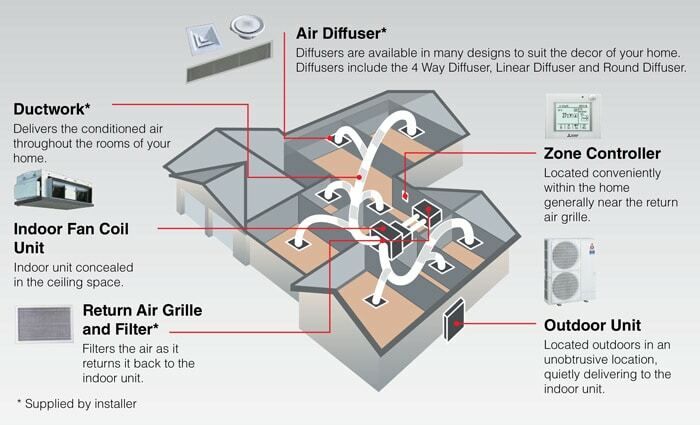 A series of ducts run from this central location and into several rooms in the home or building. 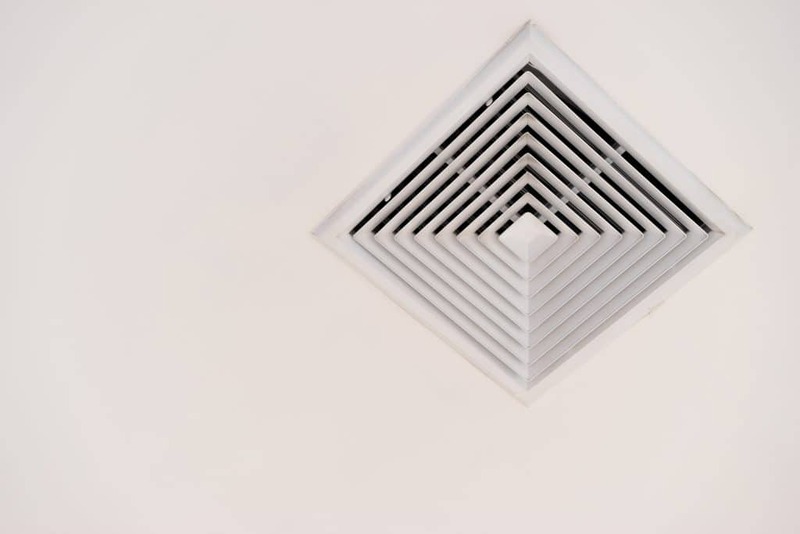 Cool or hot air is distributed along flexible ductwork to each room through air vents, which are installed discreetly in ceilings, walls or floors. Ducted systems are designed to allow zoning, where homeowners can easily manage temperatures in different rooms individually from one central location. A thermostat is typically installed on the wall where users can select the temperature and other settings. Ducted systems are ideal for cooling or heating larger rooms and areas that cannot be covered by wall-mounted units. Benefits of a ducted system? Ducted systems can cool your entire home with just one button. Powerful cooling or heating for larger spaces. Zoning allows you to control temperatures in different areas of your home. They are less visually intrusive than bulky split systems or multi-split systems. Installing ducted systems presents excellent value for money, especially when you have larger rooms or a property with three or more bedrooms. The price of a ducted air conditioning depends on its kilowatt (kW) output, building design and number of outlets and zones. For a smaller home, an 8 to 10kW ducted system is more appropriate. Larger homes will typically require twice the kW output or even more. Energy efficient systems typically have larger upfront costs but offer more savings in the long run. Ducted systems built with inverter technology (variable speed drive), which automatically adjusts its output according to the ambient air temperature, typically cost more than non-inverter types. But this feature is worth paying for especially if you use your AC frequently. Some air filtration systems may need occasional replacement or periodic maintenance. Electronic controls may be added cost but they provide convenience and improve energy efficiency, since you are more likely to change the settings when the room is at an optimal comfort level. Zoning offers different options and effectiveness of zoning are also priced accordingly.